Currently browsing articles with a topic of "winter fishing". It’s winter: it’s cold, it’s wet, and it’s snowy. A lot of the ramps are iced in. It’s a great time of year to sit inside by the fire and read a book or watch a fishing video. I don’t know about you, but that keeps me entertained for about 15 minutes, then I gotta float a boat or something. 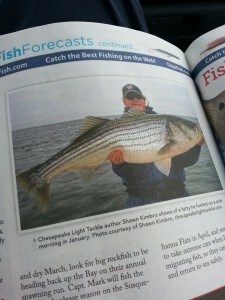 Fortunately, winter is also a great time to catch and release striped bass. 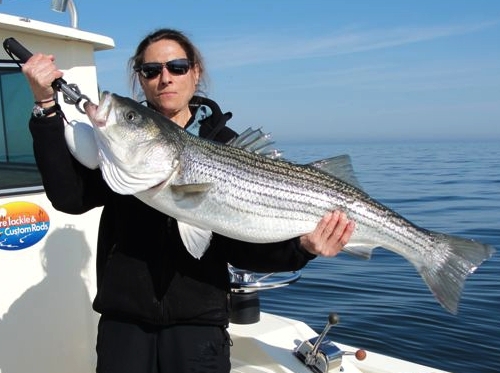 Rockfish are a lot more likely to survive when they’re released in cold weather. 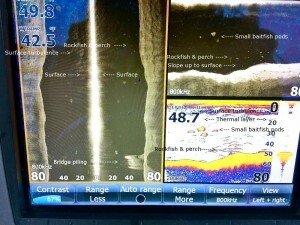 Science proves water and air temperatures greatly influence striped bass mortality. In a seminal catch & release study taken on the Susquehanna Flats in 1999, fisheries biologists Rudy Lukacovic and Ben Florence found that 98.4% of released rockfish live when they are turned loose in water temperatures of 57 to 59 degrees Fahrenheit. Stripers become more vulnerable as the weather warms and water temperatures rise, but their mortality percentage is still less than 4% in water temperatures of 62 degrees and less. Proper handling, good catch-and-release practices, and fishing in higher salinity waters can further improve catch-and-release mortality so that it’s possible to reduce the number of fish we kill to less than 1%. That makes winter a pretty awesome time to fish for those of us who are in it for the experience and not the meat. Read More! March 2 – CCA Northern Virginia Banquet & Auction – Thirteenth Annual Dinner and Auction taking place on Saturday, March 2nd, 2013 at 6:00 pm. This year’s event will be at The Shriner’s Kena Temple in Fairfax, VA. The Northern Virginia guys have been working very hard with their donors and supporters in gathering a wide array of Auction items that are sure to impress – They have over $20,000.00 in live and silent auction items. This is a little different event for me in that I’ll have a microphone and my guitar and I’ll be accompanied by my buddy Joe Evans while performing some original songs about fishing and living in our region. Read More! Every angler I know has lost the biggest fish they ever hooked. Well, at least we think we have. 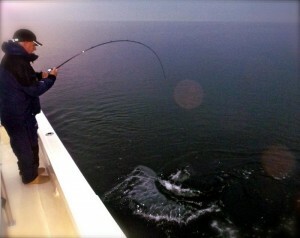 A fish that breaks a line or pulls a hook immediately grows twenty pounds in my mind. It’s in every fisherman’s nature to believe he or she had a shot at a new world record, but it got away. Nothing makes a fish bigger than almost getting caught. I had just that experience a few days ago – you know, a big fish, an epic battle, and a broken line – so I thought it might be interesting to take another look at some of the things we do wrong to make sure we never catch that fish of a lifetime. 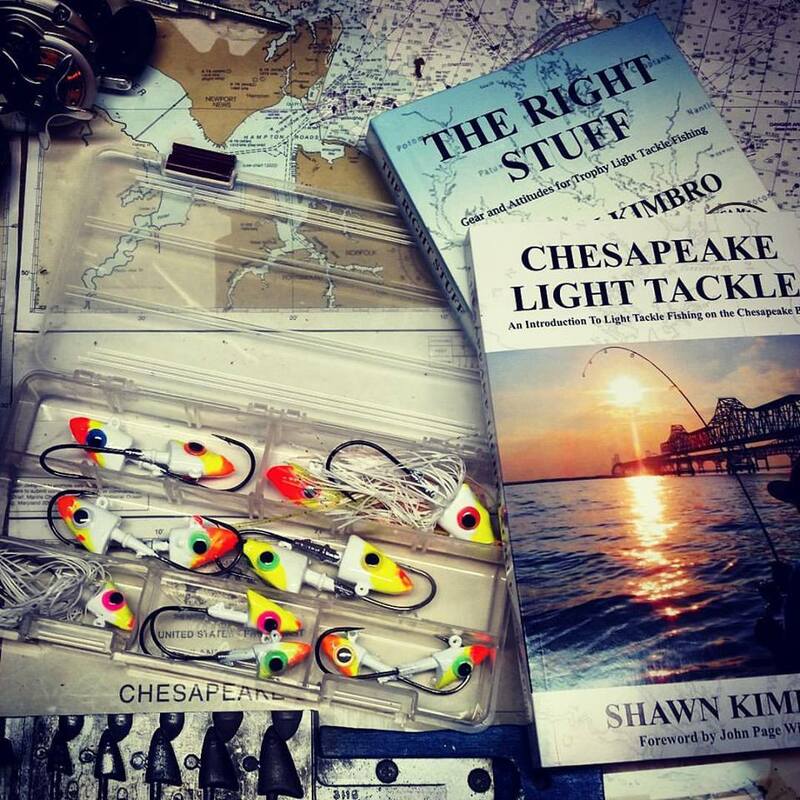 It’s big fish season on the Chesapeake Bay. The coldest months of the year are the absolute best times to catch & release striped bass. Stripers are hardier in the winter. They’re more muscular, carry more fat, and are almost guaranteed to survive when properly handled and released. 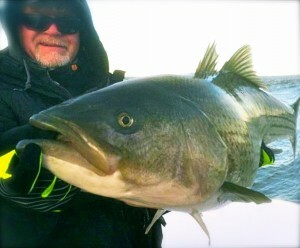 Additionally, winter is a great time to fish the Bay because it’s almost free of boat traffic. Wildlife sightings are more common. Bald eagles are frequent. Sea ducks are everywhere. On cold, clear, calm days colors are more vivid, the water reflects more spectacularly, and we can see things farther away. Some days you can see for miles across the glass where unobstructed views of the horizon make it nearly impossible to tell where the water ends and the blue sky begins. It’s a fantastic time to enjoy the Chesapeake in all it’s winter splendor. It’s beautiful. So, c’mon, you wouldn’t want to spoil all that serenity with the biggest fish of your lifetime, would you? Here are some sure-fire things you can do to make sure you lose that bad boy! Read More! It’s January on the Chesapeake Bay. It’s freezing. It’s windy. It’s snowy-sleety-foggy-and-rainy-miserable. It’s a fine time to stay home in front of a comfortable fire and dream of warmer seasons. On the other hand, these are perfect conditions to catch & release trophy striped bass in Maryland. To get ’em, you gotta want ’em. And I mean, really want ’em. 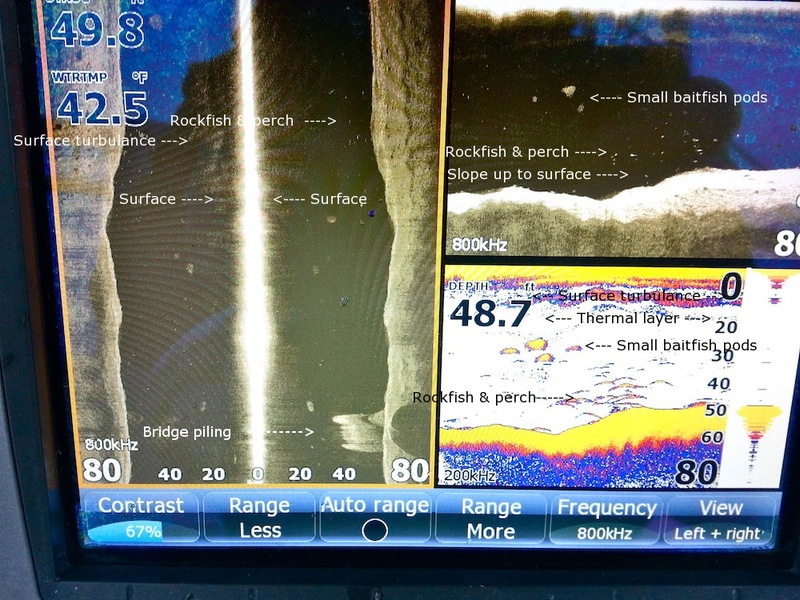 When it comes to winter fishing, you have to be motivated enough to put up with some misery. One of the definitions for dedication in Webster’s Online Dictionary is, a solemn commitment of your life or your time to some cherished purpose or goal. Everyone I know who is good at anything got that way because of their dedication. Simply put, the key to success in any endeavor is an extreme level of commitment. Now, let’s talk rockfish. It’s miserable out there. It’s striped bass weather. If catching and releasing big fish is your cherished goal, why aren’t you fishing?